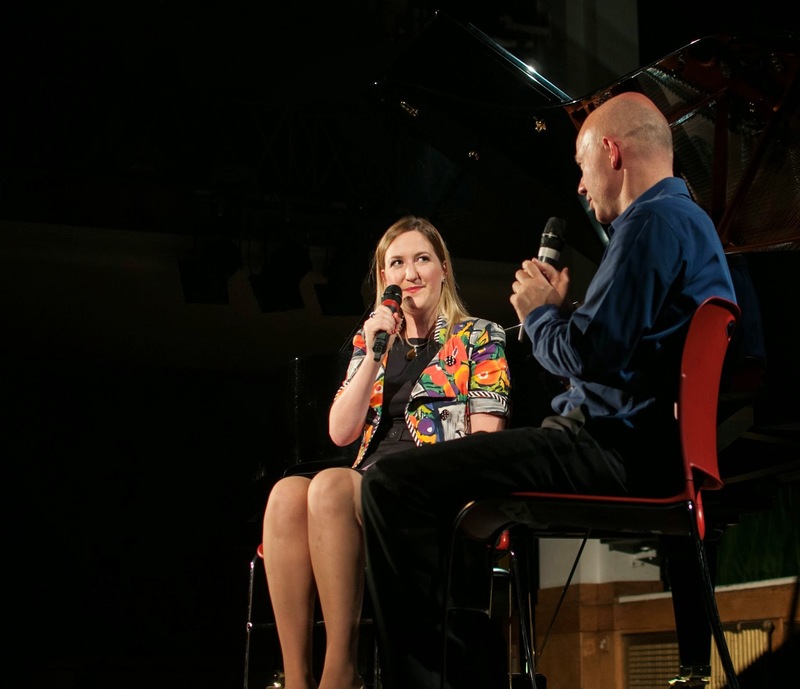 The Rhinegold Live series of rush-hour concerts continued on Tuesday 9 September 2014 at the Conway Hall, with pianist Charles Owen playing a programme of music by Mendelssohn, Bach, Debussy and Nico Muhly. Afterwards there was a short Q&A with Charles and Claire Jackson, editor of International Piano. Mendelssohn's Variations Serieuses Op.54 were written in 1841 and formed his contribution to an album published to raise funds for a statue of Beethoven to be raised in Beethoven's home town, Bonn. They are the only set of variations which Mendelssohn published in his lifetime. They start from a chorale-like theme and get progressively more complicated, requiring a virtuoso technique. What is fascinating is the way that Mendelssohn seems to be echoing the music of past-times. Whilst they might have been written to support Beethoven, there is a distinct whiff of Bach about them, albeit viewed with Romantic glasses. Owen brought a wonderful variety of tone colour to the piece, giving a committed and engrossing performance which belied the dazzling finger-work. Owen followed this with Bach's Partita No. 1 in B flat, BWV 825, one of six such which were published between 1726 and 1730 as Clavier Ubung I. They are some of the last keyboard suites which Bach wrote. Partita No. 1 is in 7 movements with a prelude followed by six dance-based movements. From the start Owen impressed with the clarity of his playing combined with a highly expressive sense of colour and great feel for the structure of the pieces. The Allemande was full over fast yet even passagework, and a rhythmic delight, whilst the Corrente was all joyful bouncing rhythms. The Sarabande was poised, again with great clarity and a lovely singing line. The Menuets were nicely crisp and even whilst the concluding Gigue had some spectacularly fast passage work, all crossing hands in a firm but even and light manner. This, as Bach as it should be on the piano, combining the best of both world and in a very compelling performance. Next came a pair of Nico Muhly pieces. A Hudson Cycle was written as a wedding gift for friends in 2005. Muhly writes in a steady pulse, playing with how the two hands synchronise and then don't, the results had an interesting pulsating quality with Owen giving the apparently minimalist material immense interest. Short Stuff was written in 2009 and is essentially a toccata, but Muhly keeps interrupting things with a jabbing rhythm which makes for unexpected moments. The concluding section was amazingly fast with a central repeated note at its core, and Owen making light of the sheer technical wizardry required to play the piece. For the last work in the programme we moved into a very different world, the highly controlled and concentrated impressionistic washes of Debussy's Preludes. Owen played six preludes from Book 1, but I have to confess that I don't know the work well enough to be able to recognise all of them bar the most famous. The ones we heard included, I think, Danseuses de Delphes, Voiles, La danse de Puck and La fille au cheveux de lin. But in all of them, Owen's control was marvellous as he combined Debussy's piano washes, with crisp foreground detail and a lovely array of colours. There was a strongly architectonic feel to the movements, and as might be expected, some superb piano technique. After a delightful encore, full of fast delicate charm, Owen was joined by Claire Jackson for a short Q&A. Owen talked of how he always wanted to be a piano player, and that he had five great teachers all very stern women. He also talked about being given a book of Bach by his first piano teacher and not being able to play it, so avoiding the composer until just five years ago. He also talked about the hours of practice needed and how he sometimes props up a picture of the composer of the work to inspire him and help him dig deeper. 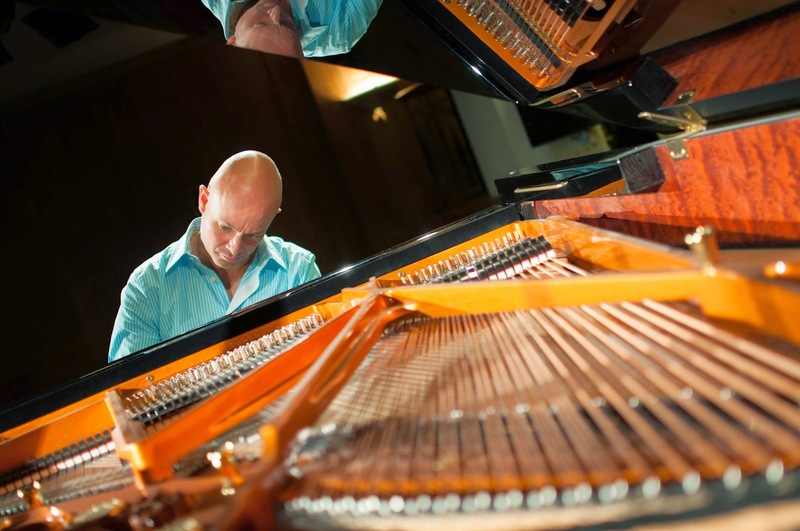 In fact Owen has three pianos, including a pair of Steinway B's one of which dates from the 1930s. The Rhinegold Live concerts continue on 10 November with a recital from soprano Mary Bevan and pianist Richard Peirson. Tickets are free and you get a glass of wine before hand! Reserve your tickets at the Rhinegold Live website.